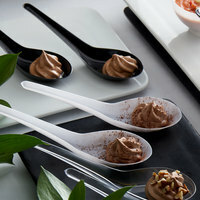 Sample spoons are available in a variety of colors and designs, so you can find the one that matches the theme of your establishment. 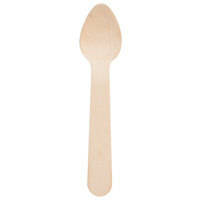 All of these spoons are made from disposable materials like plastic and wood. 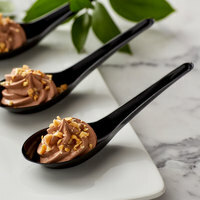 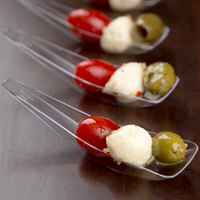 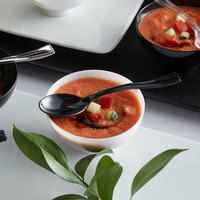 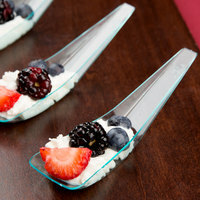 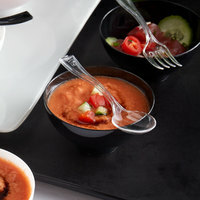 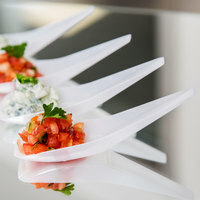 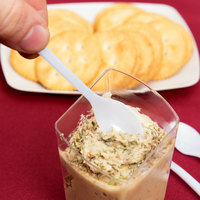 While these products can be used to give potential customers a taste of your food items, they can also be used for hors d’oeuvres and finger foods during catered events and cocktail hours. 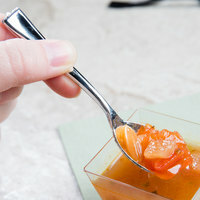 Tasting spoons can even be used with sauces on the side of guests’ entrees, making it easy for them to determine how much they want. 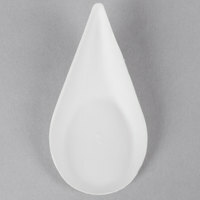 Also make sure to check out other great items from Choice, EcoChoice, Silver Visions, Visions, Dart Solo, Eco-gecko and Fineline. 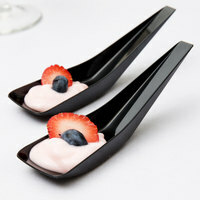 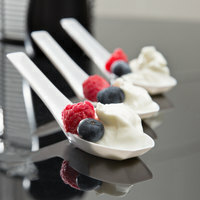 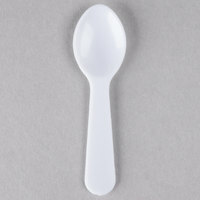 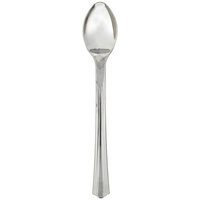 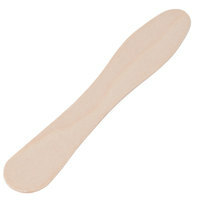 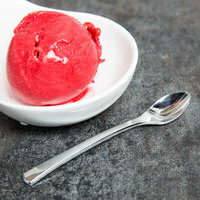 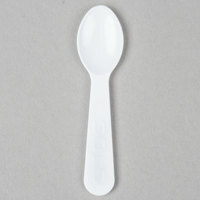 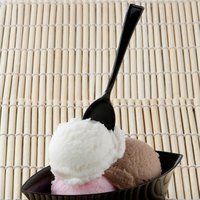 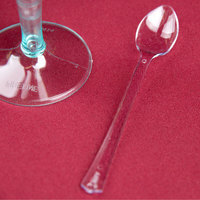 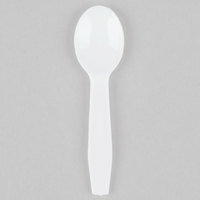 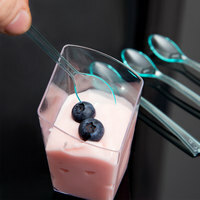 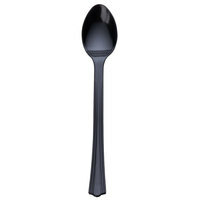 Keep your ice cream parlor, frozen yogurt shop, or soup station fully stocked with tasting spoons. 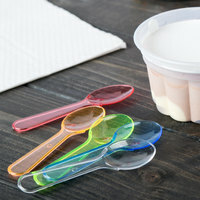 By providing free taste tests with sample spoons, guests will feel more confident in their purchases, since they’ll already know they like your product. 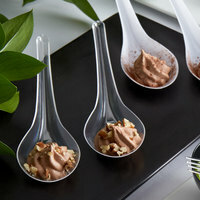 You might also want to check out our selection of paper soufflé and portion cups to conveniently serve your samples. 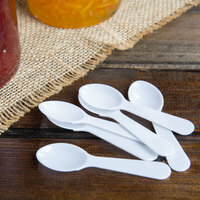 Don’t forget to set out countertop trash cans and trash bins so guests can throw away their taster spoons and cups once they're done. 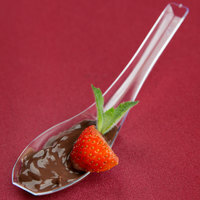 Be sure also to have ice cream spades and dippers ready for when guests make their order. 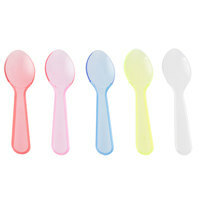 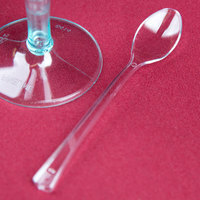 If you're wondering where to buy taster spoons, we have a large selection of taster spoons for sale at the lowest prices.